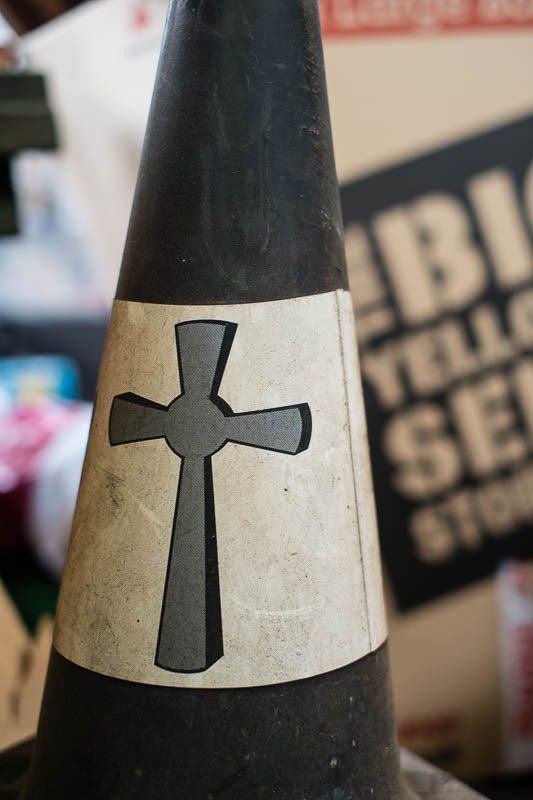 Rather than the bright orange road cone, if you see ones like this it is an indication that a funeral is taking place. I've never seen anything like that before. Interesting. Here it's usually small signs posted outside a church marked Funeral Parking Only.